The Fraser Institute has released their latest report on charitable giving in the U.S. and Canada, and once again North America’s leaders in charitable donations from the Rio Grande to the Arctic Circle reside overwhelmingly in red states. This has been the case for some time, and the reason for it almost certainly comes down to a difference in philosophy regarding charity and the role of private/public institutions in its application. It’s unsurprising that conservatives – who by and large believe in the sovereignty of the individual, particularly in terms of fiscal decision-making – choose to give of their own net incomes to charitable causes and organizations that they find worthwhile. It’s also unsurprising (and stereotypical) that liberals choose to give less of their own net income to charity, instead leaving that responsibility to the government, which replaces the individual as the evaluator and benefactor of charitable organizations and endeavors. Based on that philosophy of charity and responsibility, it’s no surprise that some liberals have been calling on the government to reduce or eliminate the charitable giving tax deduction. Based on 2009 data, the Fraser Institute found that the top ten states by percentage of aggregate income donated to charity are: (1) Utah, (2) Georgia, (3) Alabama, (4) Maryland, (5) South Carolina, (6) Idaho, (7) North Carolina, (8) Oklahoma, (9) Mississippi and New York. Conservatives think that charity means taking one’s own money and contributing to the relief of the deserving. Liberals think that charity means taking other people’s money and contributing to the causes of their liking. The welfare state is a divide between the Liberal and the Conservative. In fact, it’s one of the main fault lines that defines the two ideologies. Imagine what could be accomplished if the two sides would try and come together. 1. It would take the right to acknowledge that there is a place for a safety net for the nation. 2. It would take the left to treat the problem in the same way that organizations treat problems. First, we have to admit and acknowledge that there are folks living around us who, through the normal vagrancies and winds of life, find themselves in need. Little or no money, food is a struggle and a home safe from the elements is a luxury. For the spiritual, our faith calls us to come to the aid and assistance. For others, it isn’t a matter of faith, it’s simply the mark of a moral and caring human being. Regardless of how you get to the conclusion, the reasonable individual wants to help those in need. The first divide is crucial in my mind. Given that we are all invested and wanna help, it now becomes important to identify strategies that work and separate them from the ones that don’t. In my world, failing ideas are shut down and thrown away allowing the resources engaged in those activities to be re-purposed into the programs that DO work. Too often in the public sector a certain dogma exists within the programs creating an element of “faith” that becomes personal and results in long time failing programs to continue. And, perversely, it is never admitted that the program isn’t working. Rather, the argument is made that not enough money has been funneled to the failed attempt. This creates the very undesirable effect of funneling more and more money to the absolute worst ideas. 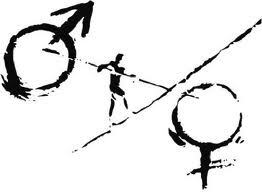 The second difference between the right and the left is the concept that, while life does present difficulties in ratios that can be difficult to manage, at some point the individual must assume responsibility for himself. That is, any program designed to provide a “hand-up” must, by definition, end. And the program needs to be built with that in mind. Not only in its funding structure but in its charter goal. Consider unemployment. I can buy the argument that we should provide benefits. [though I wash that unemployment insurance could be managed privately] But the program must have a defined end date after which the individual leaves the program and is allowed to manage his own life again. If those questions aren’t answered and addressed, we’ve not helped the man but rather delayed the inevitable condition of permanent joblessness. Last is the concept of morality or of Individual Liberty. I love seeing those cute pictures on Facebook from my Liberal friends. The ones where Jesus is commanding us to feed the poor and care for the sick. 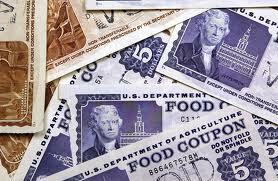 The message, obviously, is that programs like food stamps and Obamacare are explicitly our obligation. I’ve always thought them funny though. Because while we are required, as decent caring human beings, to care for others, the whole concept is that WE care for the less fortunate. It was never assumed that I would take money from my neighbor to the West and give it to my needy neighbor to the East. In other words, while government necessarily requires the concept of a tax, there comes a time when the confiscation of wealth for my own charities shifts from proper and necessary government to theft. No one would think it moral if 3 people to vote to “tax” of their companion’s money. I would leave you with this. By failing to address issue 1 we are left with a system that cannot handle issue 2. And now it becomes a horse race every election to draw the line in issue 3. The result? Let’s take the example of a single mom with two kids, 1 and 4. She has a $29,000 a year job, putting the kids in daycare during the day while she works. 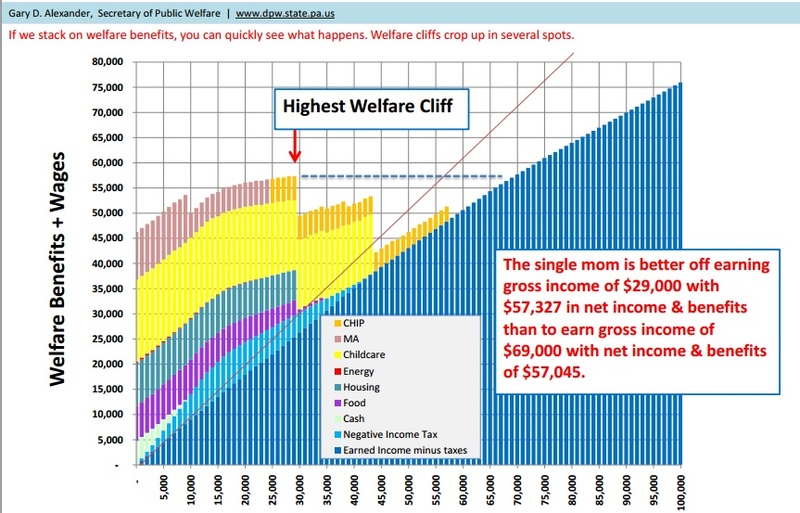 As the above chart – via Gary Alexander, Pennsylvania’s secretary of Public Welfare — shows, the single mom is better off earning gross income of $29,000 with $57,327 in net income and benefits than to earn gross income of $69,000 with net income & benefits of $57,045. Which is why successful people should be a lot more humble and willing to redistribute income to those who have not achieved the same in our meritocracy. It’s totally not fair that I’ve succeeded, in very large part, due to having two great upper-middle class parents, who raised in me in a great community with great schools, and provided the DNA for high cognitive skills and impulse control. I didn’t deserve that any more than somebody deserves to have been born to a 15-year old crack addict. That’s why I’m liberal. However, you aren’t interested in the “willingly” part of it – you want to mandate it by government fiat and force me to distribute my income. And not even in ways I see fit, but in ways YOU see fit. You want me to spend my money on your programs while you keep your money to spend on your choices. There has been a ton of talk about the “fact” that women earn less than men in the market place. Let’s forget that men die more on the job than women. Let’s forget that men work more hours than women. Let’s forget that men travel more than women. When women were asked if they EVER have felt that they have been passed up for promotion because of gender, the answer is “No”. There is no group o f women that even comes close to even 20% that feel they have been discriminated against based on gender. 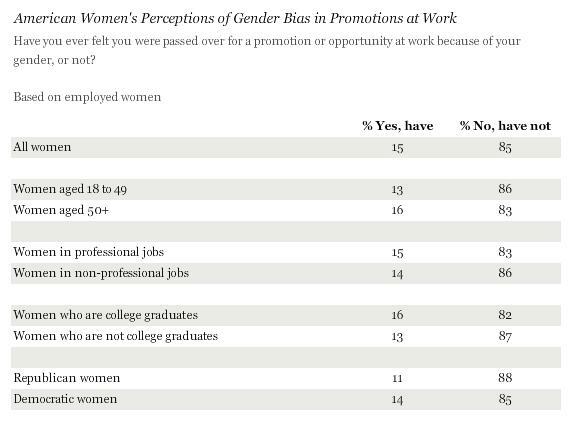 Liberal women feel that they have been denied promotion more than twice the rate that conservative women do. I’m gonna step in the mind of a bigger state thinker for a second. In this mind, the goal is to identify all individuals and/or families that are in some sort of need. This need could be based on a scale of sorts; usually income based. That is, if income is too low, programs should be created or funded in order that some definition of “basic needs” is met. These basic needs could be supplemented by straight cash, tax breaks, food programs, rent programs, energy programs or any other such program. Okay, I may disagree with that mindset, but for now, that’s the mindset I’m in. Now, given this reality, the goal, as a criteria for success, would be to make sure that all qualified individuals and/or families, would be identified and enrolled. We don’t want a shadow population of folks who are in need of assistance or care, to exist. In this aspect, I get that the bigger state thinker would want to expand the rolls of these programs. I get that, right? In other words, when all the poor and less fortunate have been enrolled in these programs, is there any effort to get them UNqualified? For example, give them what ever it is that is needed to be able to create a level of income that allows them to leave the program. To me, there are two kinds of charitable giving, two kinds of programs that can be set up. 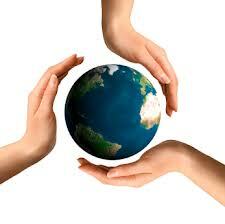 One is where resources are gathered and distributed just to make the ends meet. Food to feed the hungry, coats to warm the cold. Stuff like that. I think of that as “give a man a fish” kinda program. Me? I’m interested in the “teach a man to fish” kinda programs. And I just don’t see the rigor, the discipline, the will or, frankly, even the desire on part of the policy makers to craft such steps into their programs. I don’t see a willingness to exhibit the tough love that even parents engage in with their own children. A love that says, hell-demands, that by paying your rent and your heat and your car payment, I am not helping you in life, I am, in fact, hurting you. Liberals often claim that the right cares more about the unborn than about the orphan or the single mom or the poor. There may be something to that, maybe. But given that it’s the conservative that is more charitable than the liberal, I don’t buy it. Rather, I see it that the programs favored by the conservative more resemble the “programs” that they teach and enforce upon their own children. Namely sacrifice, hard work, goal deferral and plain old “do the job right”. I just don’t get how feeding and housing a person for years and years helps them. BOSTON — A new study on the generosity of Americans suggests that states with the least religious residents are also the stingiest about giving money to charity. Like I said, this is well known and not surprising. I would like to say that freedom loving individuals intuitively know that we need to care for our neighbors, but that legalized theft is not the way to do it. However, I don’t think most people think it through like that. The study released Monday by the Chronicle of Philanthropy found that residents in states where religious participation is higher than the rest of the nation, particularly in the South, gave the greatest percentage of their discretionary income to charity. The Northeast, with lower religious participation, was the least generous to charities, with the six New England states filling the last six slots among the 50 states. The study also found that patterns of charitable giving are colored in political reds and blues. 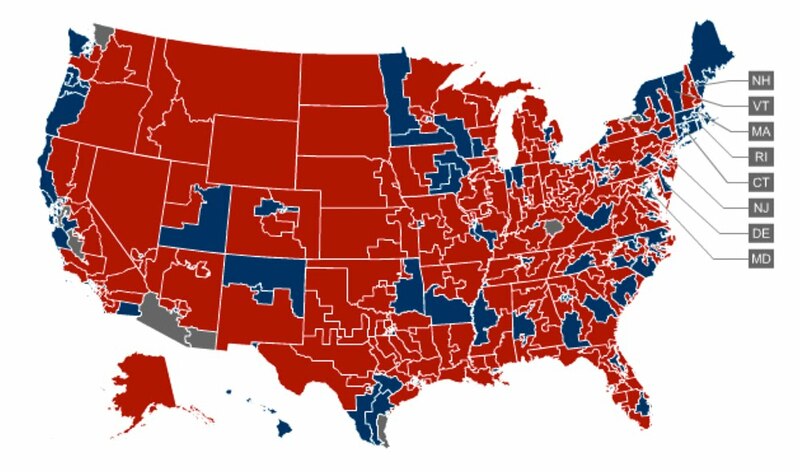 Of the 10 least generous states, nine voted for Democrat Barack Obama for president in the last election. By contrast, of the 10 most generous states, eight voted for Republican John McCain. Whatever the reason, I think it has to do with how the brain works. For example, there are studies that show people who “be green” are then more likely to be rude or less moral; at least for a time. Scientist feel that by contributing to the health of their plant, that “need” in their mind has been met and they are now free to act less charitable. In fact, I’ve always felt that liberals aren’t less generous, they simply feel that government is their charity. I honestly feel that when a liberal lawmaker is successful in voting for someone else to build a school for the poor with someone elses money, they feel the same sense of accomplishment that someone who volunteers for Habit for Humanity and actually swings the hammer that builds the school, or house. Alan Wolfe, a political science professor at Boston College, said it’s wrong to link a state’s religious makeup with its generosity. People in less religious states are giving in a different way by being more willing to pay higher taxes so the government can equitably distribute superior benefits, Wolfe said. And the distribution is based purely on need, rather than religious affiliation or other variables, said Wolfe, also head of the college’s Boisi Center for Religion and Public Life. I’ll differ with the good professor a little bit here. I don’t think it’s the act of PAYING the taxes that causes democrats to be less charitable than others, I think it’s the act of VOTING for more spending that causes liberals to be less charitable. No one likes to pay taxes and even democrats avoid it when they can. The wrap is that the far right wing-nut is intolerant and hateful. 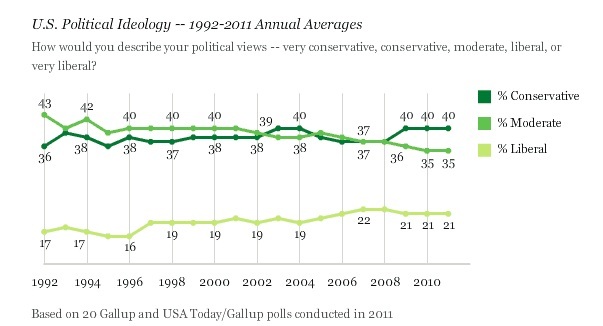 The message is that the conservative is unwilling to embrace ideas that might be different, or strange or new. The right. The republican. The conservative is the one unwilling to listen to opposing ideas, to embrace an open mind, to allow differences of thought. That’s the narrative. The left, the liberal left, is open to thoughts and ideas that are different. It’s not true. 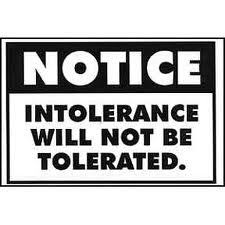 It’s the liberal that’s intolerant. No serious thinker is liberal. Strike that. Plenty of thinkers are liberal. No serious do’er is liberal. The fact is that self-described “conservatives” in America are more likely to give—and give more money—than self-described “liberals.” In the year 2000, households headed by a conservative gave, on average, 30 percent more dollars to charity than households headed by a liberal. And this discrepancy in monetary donations is not simply an artifact of income differences. On the contrary, liberal families in these data earned an average of 6 percent more per year than conservative families. So, with that said, let me make it clear that what I describe as policy in no way or manner represents my individual and specific view of the actual person, their plight, human spirit and personal tragedy. In a report issued earlier this month, the National Center on Family Homelessness, based in Needham, Massachusetts, said 1.6 million children were living on the streets of the United States last year or in shelters, motels and doubled-up with other families. That marked a 38 percent jump in child homelessness since 2007 and Ellen Bassuk, the center’s president, attributes the increase to fallout from the U.S. recession and a surge in the number of extremely poor households headed by women. Direct assistance to the displaced families right now. Actions that will prevent the homeless condition from occurring in the first place. As her mother sat in a homeless shelter in downtown Miami, talking about her economic struggles and loss of faith in the U.S. political system, 3-year-old Aeisha Touray blurted out what sounded like a new slogan for the Occupy Wall Street protest movement. “How dare you!” the girl said abruptly as she nudged a toy car across a conference room table at the Chapman Partnership shelter in Miami’s tough and predominantly black Overtown neighborhood. There was no telling what Aeisha was thinking as her 32-year-old mother, Nairkahe Touray, spoke of how she burned through her savings and wound up living in a car with five of her eight children earlier this year. Think of that. This woman is trying to care for a family of 9 on her own. Ms. Touray is 32 years old and has 8 children. In comparison, I had yet to be married at 32. And now, as a professional married to another professional I have two children. Without making any judgements as to decisions or life circumstances, as a 32 year old professional, I’m certain that I would have struggled caring for 8 kids. Even making it to work would be difficult if not impossible. Again, my interest in the conditions of the poor and homeless in America are more focused on preventing single 32 year-old women from having 8 children. To put this in perspective, if you were to take ALL families in 2011, the percent of them that have 7 or more members is 2.6%. When you look at only female householder, the percentage of families with 6 members is 2.8%. In a perverse fact of life, the problem gets worse as women find themselves raising the family alone. Certainly I can’t know the journey that Ms. Touray has taken to get to where she is. Her life could be one of immeasurable bad luck and unbelievable twists of fate that have led her to where she is. However, I suggest that another theme exists. One that we can change. That is, there is a significant portion of our population that makes misinformed and bad decisions that ted to put them in cohort groupings that lead to poor outcomes. Is it perfectly allowable that a single woman would want to make it on her own and raise a family of 8 children? Sure, without a doubt. However, if a trusted friend or sister were to seek your advice on her decision to embark on this path, what might your counsel look like? Would you caution her? Might you recommend that she obtain an education? Perhaps secure income? What would you counsel your own daughter to do? Why aren’t we making YOUR answer policy? Why aren’t we telling our Ms. Tourays of the world that it’s generally not accepted wisdom to create a condition where you are single with 8 kids? In fact, why is it so “insulting and disparaging” even to merely suggest such advice?